Nestled at the corner of Arnaiz and Makati Avenues in cosmopolitan Makati lies a striking 30-floor tower, which is home to three sophisticated hotels in Makati: Fairmont Makati, with 280 deluxe rooms; Raffles Makati, with 32 suites; and Raffles Residences Makati, with 237 residences for private ownership. The five-star Fairmont Makati hotel is an urban sanctuary where guests can enjoy luxury and privacy at its finest. The hotel offers 280 elegantly-appointed guest rooms and suites with unparalleled views of the stunning Makati skyline. Each accommodation is remarkably spacious, complete with premium amenities that are essential to both business and leisure travelers, including the Fairmont Gold—an exclusive lifestyle hotel experience. This Fairmont Hotel is also home to Raffles Makati, a 32-room, all-suite hotel that fuses old-world charm with modern sophistication, and Raffles Residences, featuring 237 one- to four-bedroom residences for both short and long-term stays. Raffles is a sister brand under the parent company Fairmont Raffles Hotels International. Raffles Makati offers a range of exceptional dining venues to meet the unique tastes of every guest, including the Long Bar, styled after the iconic original in Raffles Hotel, Singapore. These hotels in Makati City have a private underground walkway that provides guests with direct access to the nearby shopping malls, dining venues, cultural attractions, and glamorous nightlife. Fairmont Makati and Raffles Makati are in the sought after location of Makati CBD. Both of these prominent Makati City hotels are within Ayala Center, a walking distance to business centers and establishments such as the Philippine Stock Exchange, Zuellig Building, and 6750 Ayala Avenue. 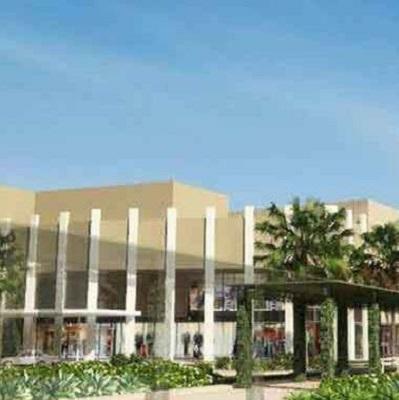 It also a few minutes from Ayala Center’s shopping district. 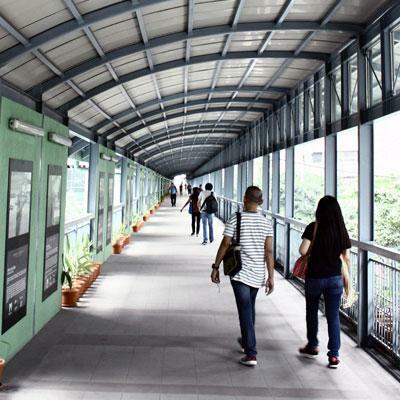 Using the hotels’ underground walkway, reach Glorietta shopping complex and Greenbelt, the city’s most exclusive shopping area, without getting stuck in traffic. For exhibits from local and international artists, Ayala Museum is open and available for visits. Known for its engaging service, and unrivaled presence, Fairmont Makati turns moments into memories by providing authentically local experiences. The five-star hotel stands in the prestigious address of Makati CBD and positioned in the center of the city’s shopping and cultural district. With over 30 floors housing elegantly designed guest rooms and suites, the hotel features exclusive lifestyle experience through Fairmont Gold. Among the hotels in Makati City, Fairmont Makati serves as an urban sanctuary for business and leisure travelers. It has 280 elegantly-decorated guest rooms and suites with smart amenities, floor-to-ceiling windows, and a marble spa bathroom. The bathroom is complete with a Le Labo bath set allowing guests to indulge in the wonders of the cosmopolitan lifestyle. Most of all, guests can experience the one-of-a-kind hospitality the Philippines is known all over the globe. On top of the luxury hotel experience, it features eight restaurants and lounges. Each restaurant features a unique combination of local and international culinary creations. Spectrum‘s modern interior and clean environment provide a harmonious all-day dining restaurant. The restaurant’s open kitchen concept creates a culinary theater for dishes from China, India, Europe, the Middle East, and the Philippines. With fresh ingredients and simple, healthy cooking styles, Spectrum is sure to provide a colorful menu of hearty meals. For bakery items, gourmet sandwiches, homemade cakes, and handcrafted pastries, Café Macaron offers the perfect snack combination with brewed coffee. Its signature dessert is the feathery melts in the mouth macarons featuring local flavors such as mango, ube, pandan, and queso de bola. Get a taste of classic drinks and mixed cocktails at the Fairmont Lounge. The Lounge sets the mood for informal business discussions and hang out with friends. Fairmont Makati is proud to present the Willow Spa. It offers a luxurious retreat for hotel guests as well as the residents of Makati CBD. The spa occupies a 1,200 sqm area equipped with treatment rooms, a hair salon, a nail studio, a mineral pool, and an outdoor swimming area. Meanwhile, the Fitness Center is adjacent to the spa. It offers Technogym fitness machines and state-of-the-art equipment with a panoramic view of the Makati cityscape. It serves as a sanctuary of balance, health, and relaxation as it challenges those who wish to workout with personalized training sessions from fitness professionals. Get advantage of these perks by subscribing the gym membership programs. Fairmont Makati also has 1,700 sqm of versatile meeting and function space. It has the perfect setting for various events and functions. Whether it is a grand fairytale wedding, a charity gala or an intimate gathering, Fairmont Makati has enough space to bring the events to life. Fairmont Makati has different packages for meetings, weddings, and other personal events. The packages include the Lifestyle Cuisine program which is customized healthy menus that cater to specific dietary requirements. It also pays tribute to regional cuisine with modern flair. Highly reputable and sought after by travelers and globetrotters, the Raffles legend continues in the heart of Metro Manila. The bustling and ever-expanding Makati CBD houses Raffles Makati which provides sophisticated suites and residences for the well-traveled. With 32 suites and 237 residences for private ownership, Raffles Makati brings convenience and luxury to the residents and guests of Makati City. Guests can select from the suites available—Junior, Executive, and Presidential. The Suites are perfect for a single adult or couples with children. Each Junior Suite features an ambiance that brings classic luxury to light. It has an intimate parlour with antique furnishings, a marble spa bathroom with a separate bath and shower. The entire room has decor that embodies luxury. Satin, silk, and damask in bright hues along with hand-tufted rugs on hardwood floors adorned the 60 sqm suite. The Executive Suite comes with a King Bed on a plush bedroom, a dining room, and a bathroom with a walk-in closet. Experience elegance while basking in the unobstructed view of the city from the room’s floor-to-ceiling windows. All in all, the 12 sqm Executive Suite is specially designed for business and pleasure. The Raffles Presidential Suite has a unique character. The charming 150 sqm suite offers an urban oasis for guests and their visitors. The room features a receiving foyer, carefully appointed living and dining rooms. It also has a walk-in wardrobe leading to an elegant marble bathroom. Choose from the four types of exclusive residences available at Raffles Makati—one-, two-, three-, or four- bedroom Raffles Residences with unique personalities and superior amenities that support different lifestyles. Stay for ten days or more to qualify for an extended stay. The One Bedroom Residence offers lavish rooms with large windows showcasing the unparalleled of the city landscape. Influenced by local culture, its interiors have tropical colors, and rich wood furnishes. The bathroom is a marble spa with rain shower. Contrast to its traditional, elegant decor scheme is an advanced home entertainment system, fully equipped kitchen with complete dining and cookware amenities, dishwasher. It also has a washer and dryer combination The One Bedroom Residence has two kinds: Deluxe and Executive. The Two Bedroom Residence has a master bedroom and a guest bedroom featuring state-of-the-art technology tastefully concealed. The room reflects a flawless urban design where function blends seamlessly with old world beauty. It also comes with a fully equipped kitchen, complete dining and cookware amenities, and other comforts available in a home. Find the Three Bedroom Residences at the Penthouse where extended stays are always welcome. 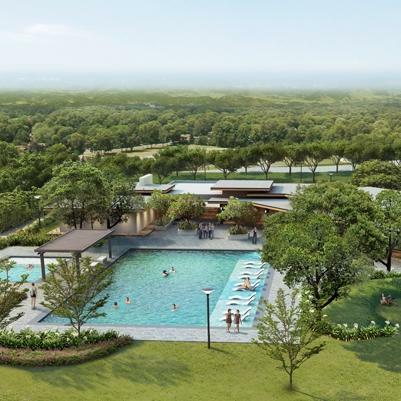 It complements lavish lifestyles as it provides generous dining spaces, kitchen, laundry area, and a marble spa bathroom with rain shower head and deep-soaking tub. On the other hand, the Four Bedroom Residences are on the 29th and 30th floors. Its features are similar to other rooms. However, it separates living and dining areas. Experience the highs of life in the comfort of Raffles Residences. Raffles Makati has a range of exceptional venues for different tastes. It has Mirèio, a brasserie-style restaurant serving authentic Provençal and French-inspired cuisine. It opened in 2016 and continues to depict the abundant life and culture of the French Mediterranean region through its culinary creations. Hervé Clair, a native of Provençe, came up with different soul food available on Mirèio’s extensive menu. Style after the original Long Bar in Raffles Singapore, the Long Bar features a warm and cozy atmosphere to enjoy drinks day or night. It serves classic spirits and signature cocktails familiar to the crowd. The Makati Luxury Sling is a must-try from the Raffles Makati’s Long Bar menu. The local version of Singapore Sling uses 24-karat gold flakes as its key ingredient. Writers Bar is styled as a library as a tribute to the writers who stayed at Raffles Singapore or those who wrote about the famous hotel. It also serves cocktails along with traditional afternoon tea and light snacks. Fairmont Makati and Raffles Makati are proof that relaxation and luxury living are possible even when in the city. Have a peace of mind and prioritize your wellness with these hotels’ amenities, world-class residences, suites, and restaurants.